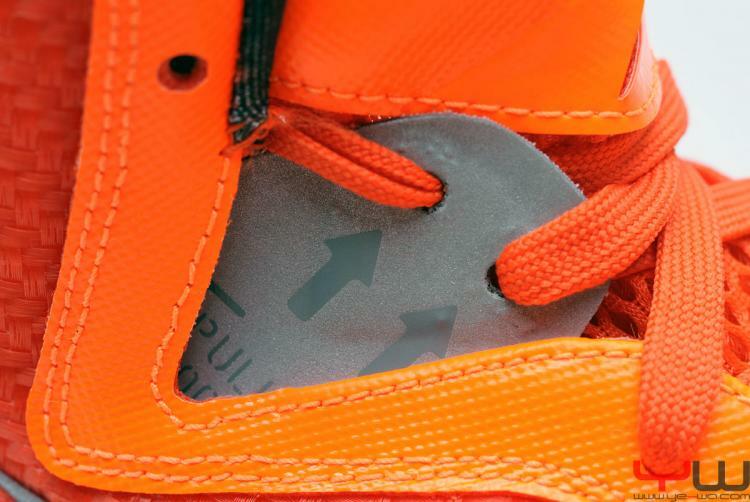 Early looks at NBA All-Star 2012 footwear suggest that we'll be seeing some different looks from the standard East Blue and West Red color schemes. 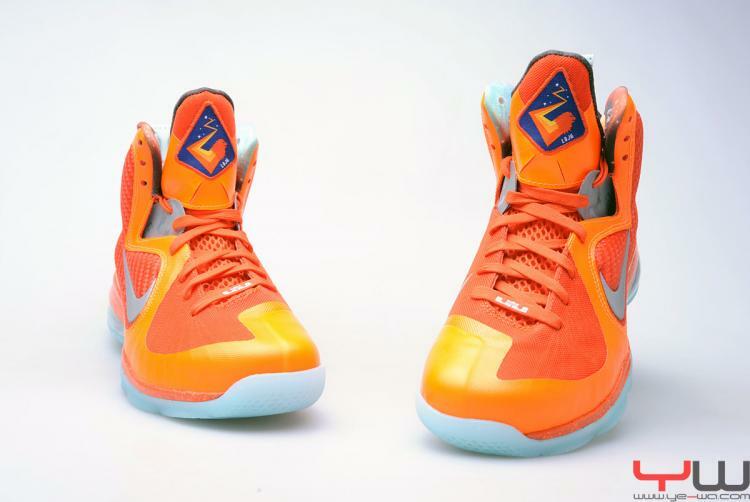 Early looks at NBA All-Star 2012 footwear suggest that we'll be seeing some different looks from the standard East Blue and West Red color schemes. 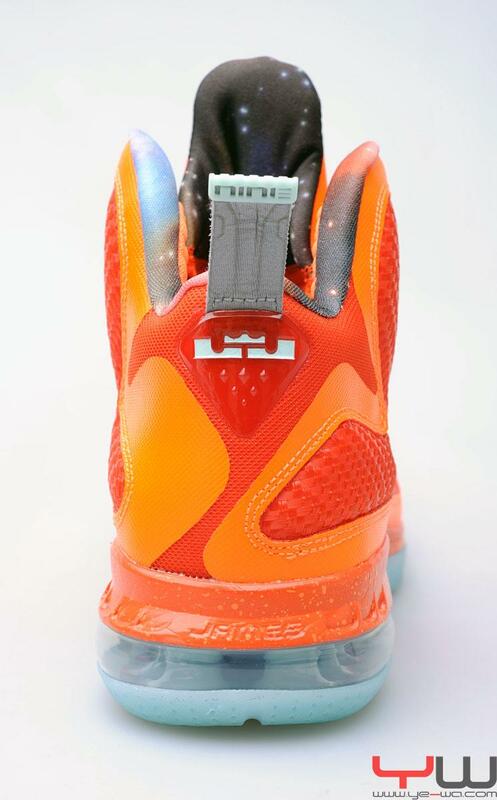 Seen here is a detailed look at this year's All-Star LeBron, which sports a vibrant mango synthetic base with metallic silver branding and details on the upper. 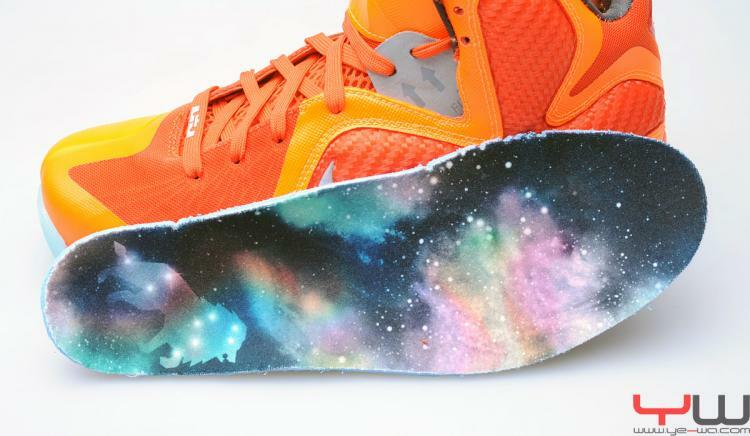 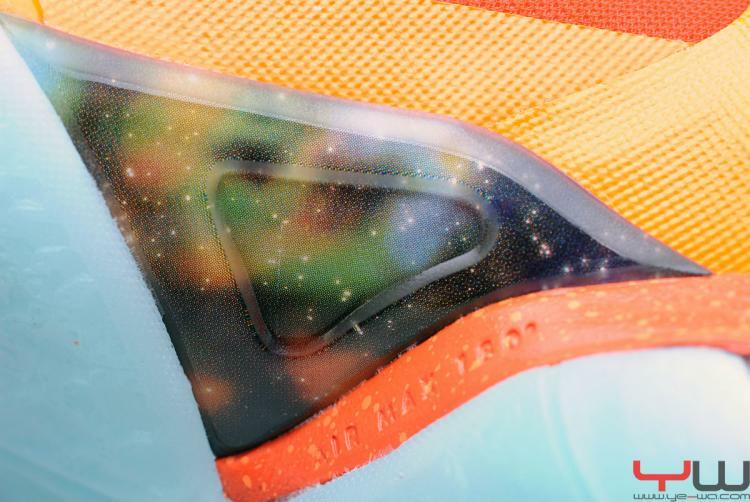 Constellation-style lion graphics appear on the tongue and against galaxy backdrops on the insoles. 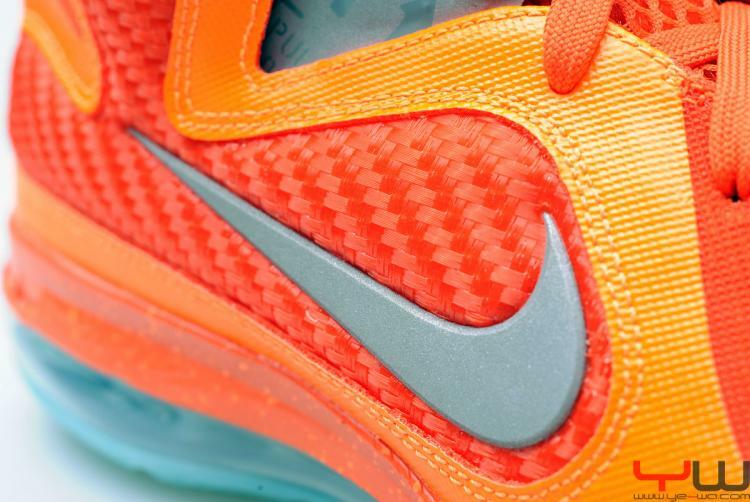 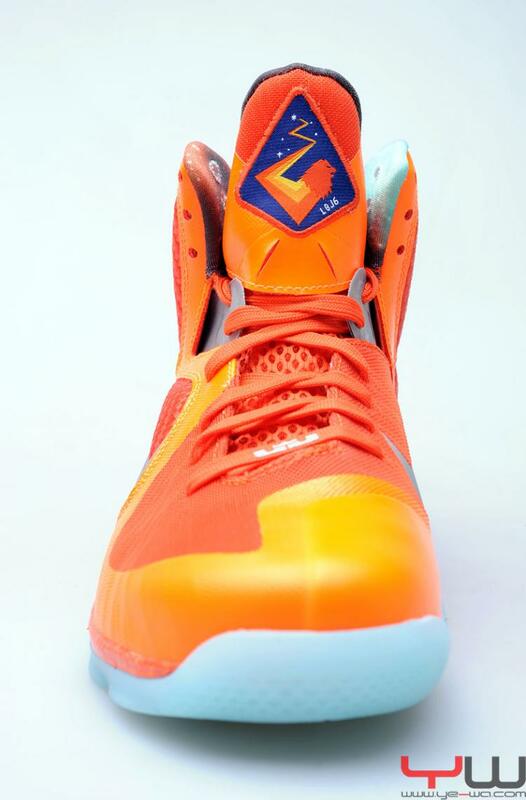 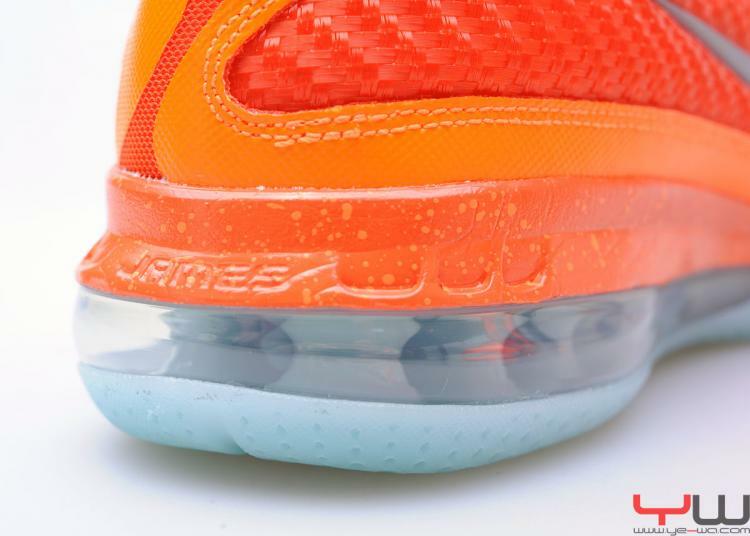 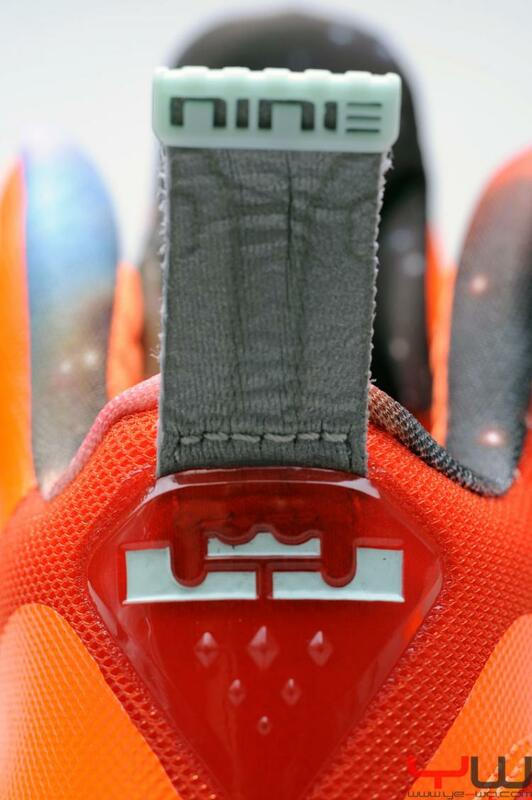 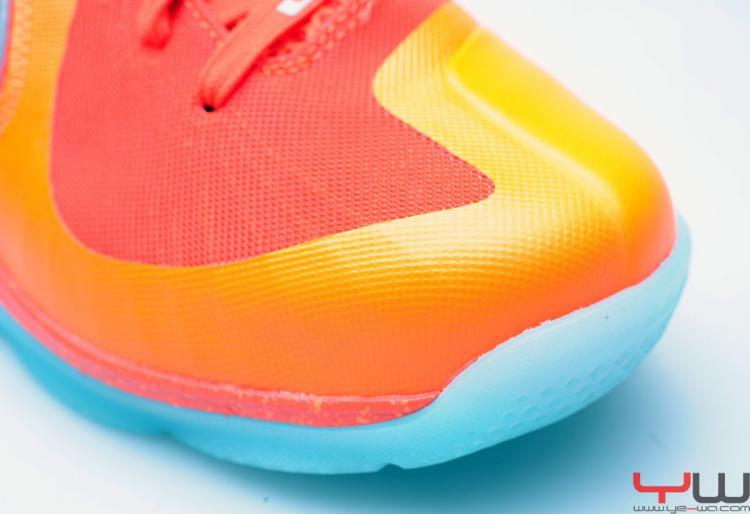 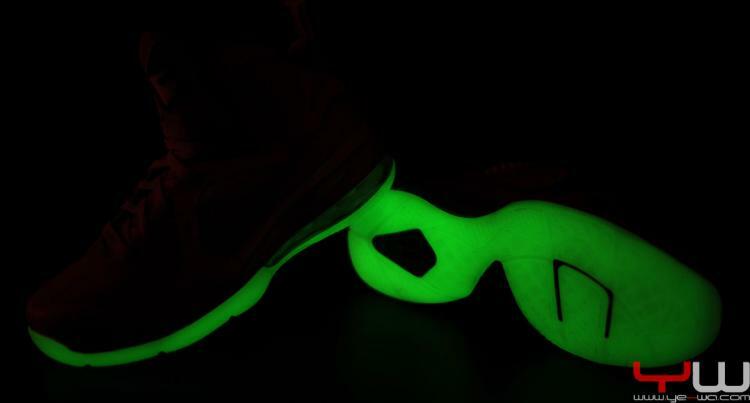 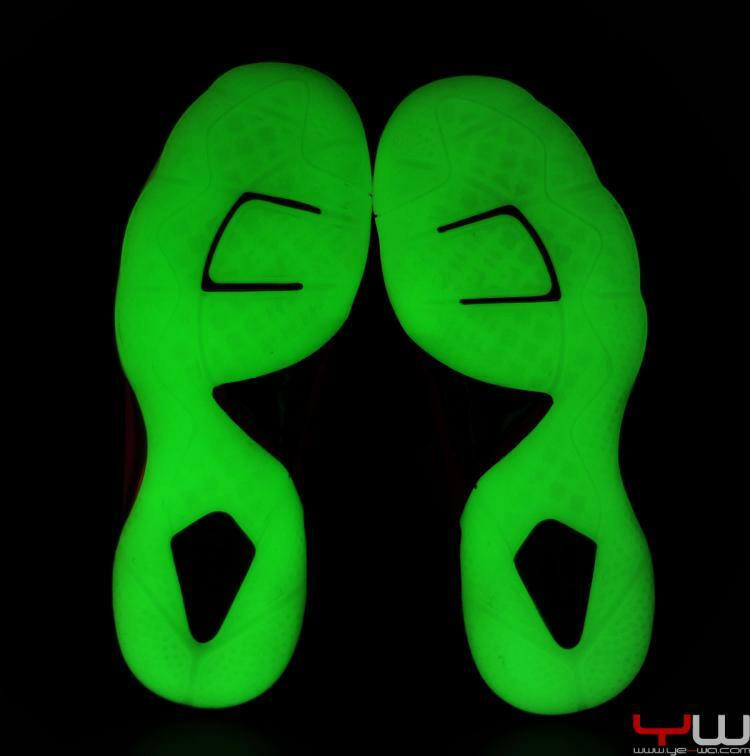 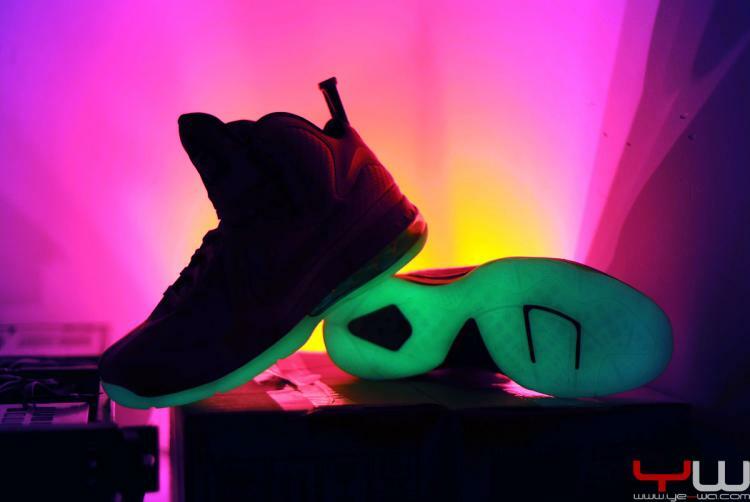 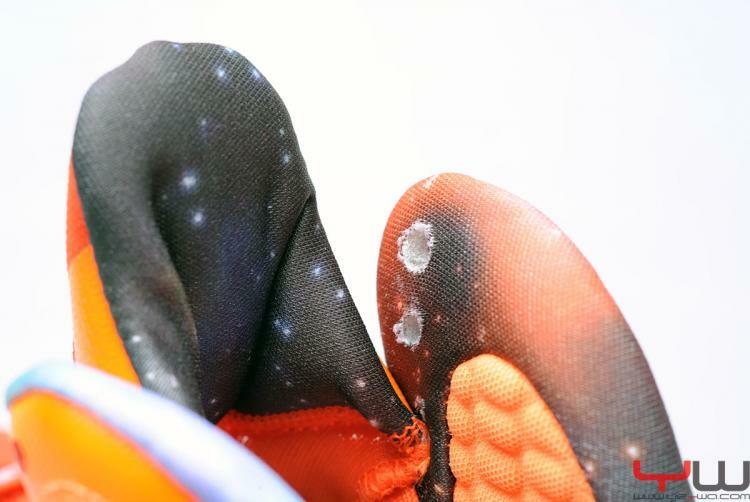 A speckled orange midsole and translucent glow-in-the-dark rubber outsole support the ride below. 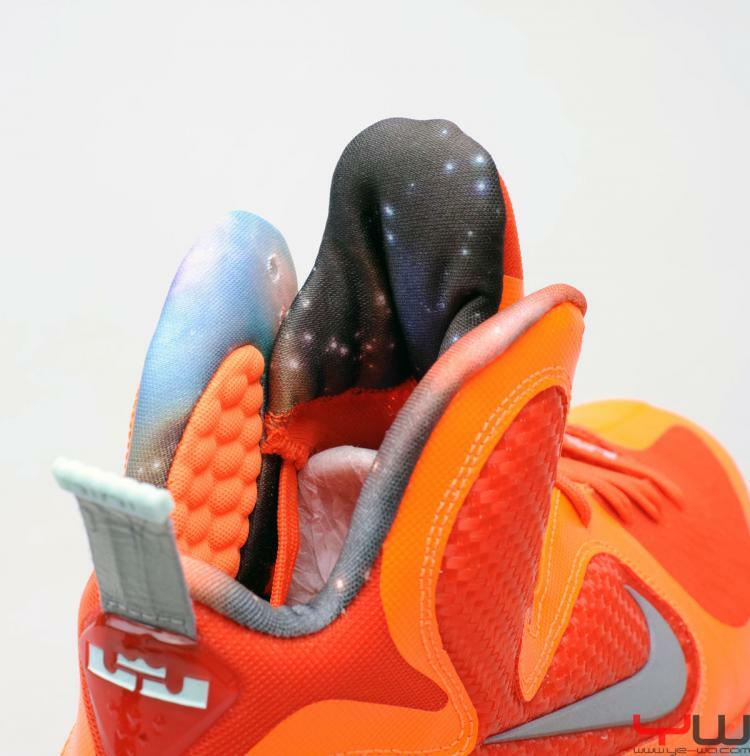 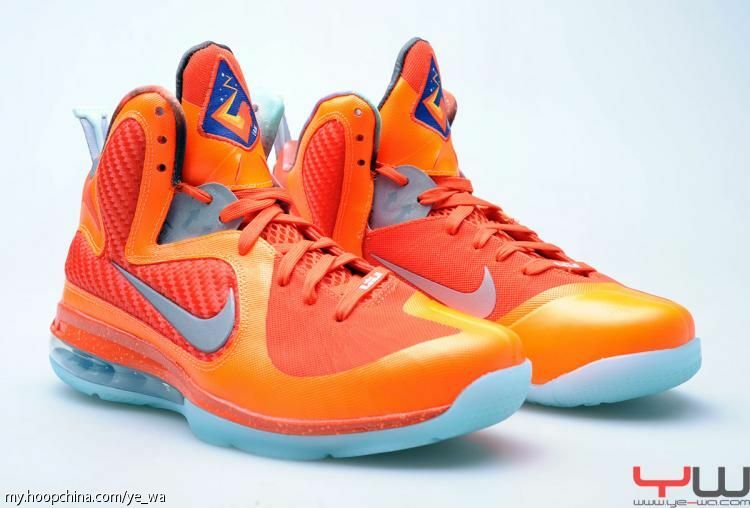 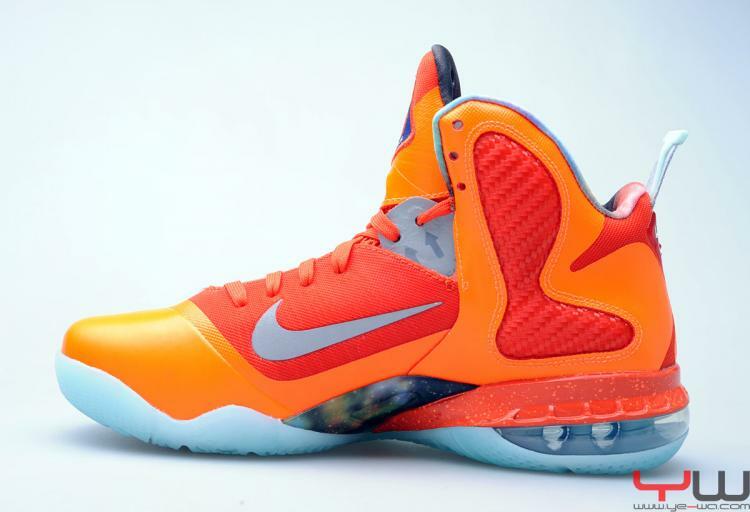 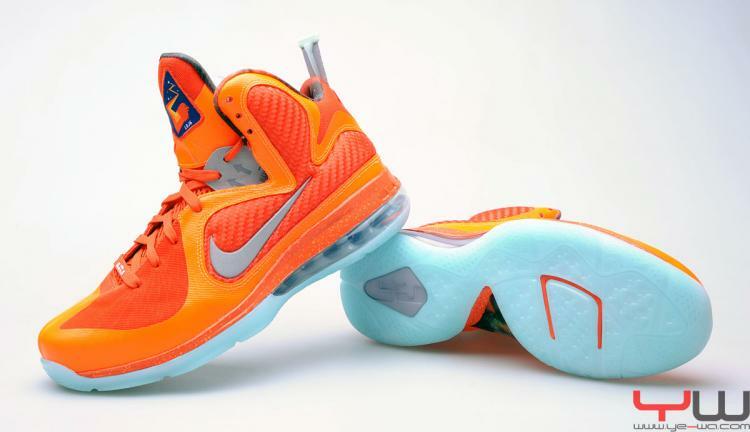 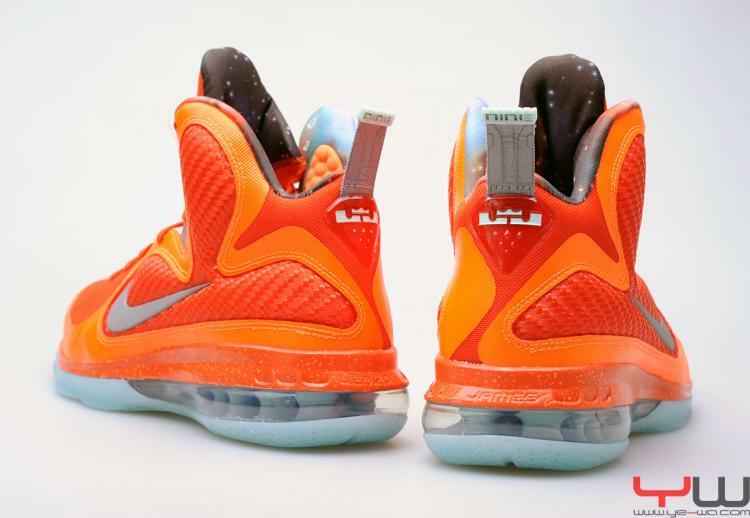 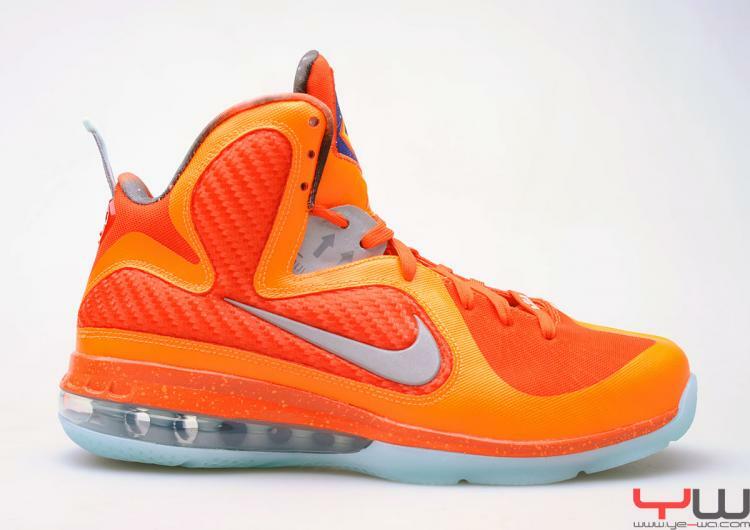 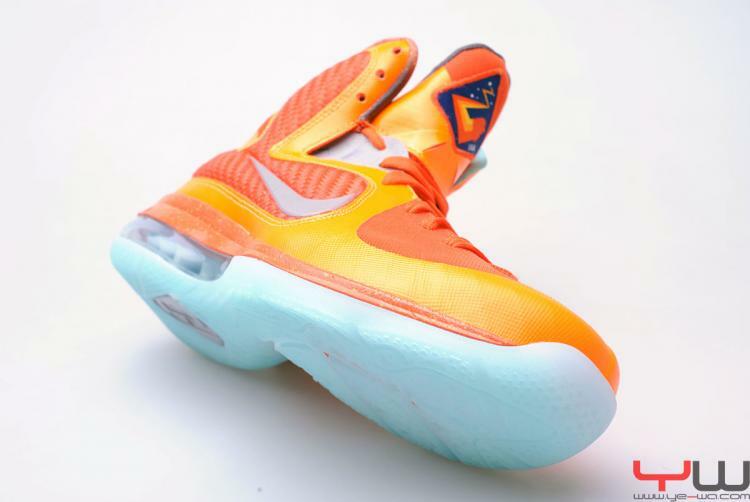 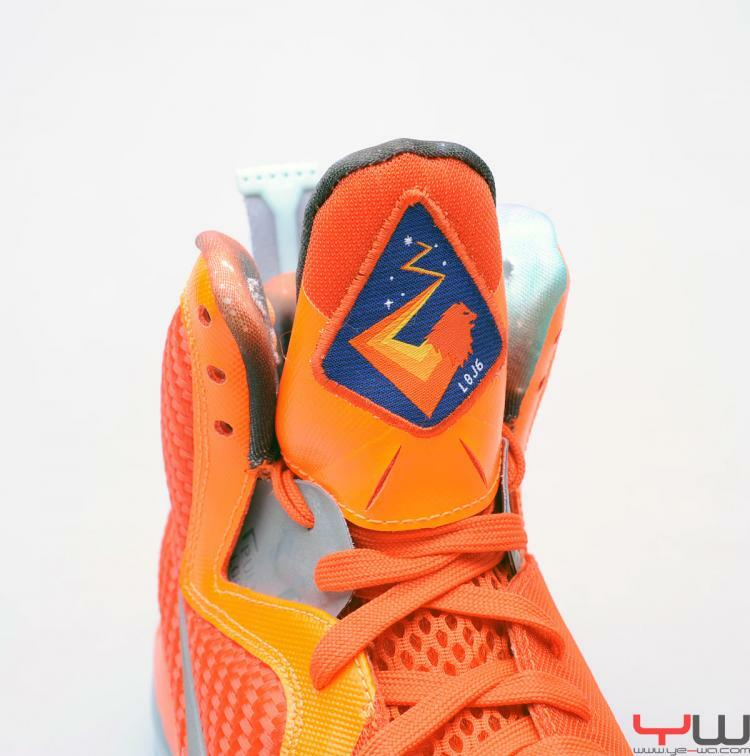 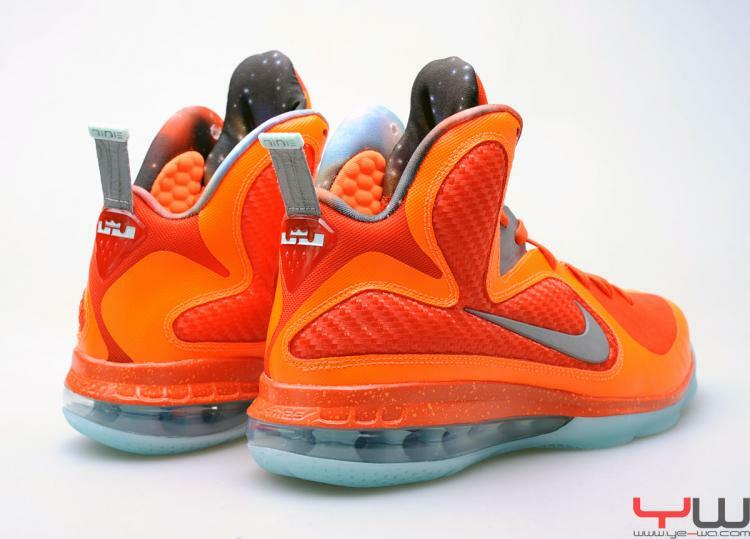 Let us know what you think about this detailed look at the All-Star LeBron 9 and keep checking Sole Collector for release updates.